"Look at the nations and watch-and be utterly amazed. For I am going to do something in your days that you would not believe, even if you were told." Habakkuk 1:5 We worship and serve a great God and we are teaching this to the children in our Good News Clubs. Children of all ages need this focus! Most of our Good News Clubs started in the past two weeks. We are planning for 95 after-school Good News Clubs and 20 community Good News Clubs this school year. We begin this school year teaching a series to the children on "God's Faithfulness Return to Canaan". Before volunteers teach the children, they are trained. We praise God for over 400 volunteers who came for training in August. God has given us an open door at a previously closed school!!! We hope to start this Good News Club in October. Pray that God will continue to protect His work in the Good News Clubs. We believe God wants children to hear the "good news" and receive Jesus Christ as their Savior. Several clubs have volunteer needs. 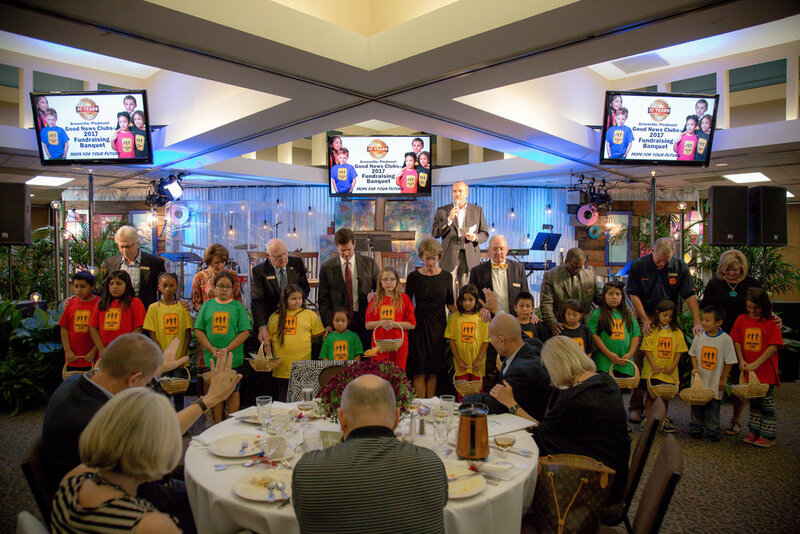 The fundraising banquets were held this week. We did not meet our banquet financial goal, but we are thanking God for His faithfulness and believing God in faith that He will meet our every need. Pray for all the components of the website www.worduptime.com and the impact it will have in this community to reach children and their families with the Gospel. Pray also for the new GROW Up booklet, a discipleship tool our office has written for children who make a salvation decision. Pray for God's favor from our National office for this booklet to be used around the world and translated in other languages. There is a booklet for a child, a leader, and a parent. For more info, please contact our office. Pray for the schools where we do not have access for a Good News Club. Thank you for joining us in praying!